This entry was posted in Jesus on July 31, 2017 by Unashamed of Jesus. Jesus was moved with compassion when they realized, all these people who have been following and listening to him for days, didn’t have any food. Jesus could have just told the people to go home, but he didn’t. He wanted to provide for them , the same God wants to provide for you. At first glance, it would seem impossible to feed 4 thousand people with 7 loaves of bread. But remember our faith is what activates Gods miracles not our understanding. Notice the number of loaves is 7, the symbolic number of completion. One blessing from Jesus and problem solved. Unfortunately most of us are just like the disciples. No matter how many blessings or miracles God has performed in our lives, we always focus on our current problem. We need to stop focusing on our problem and focus on our “Problem Solver”. This entry was posted in Jesus on July 29, 2017 by Unashamed of Jesus. One of the many reasons Jesus came was to show us a true relationship with God. When God gave us The Law or Torah, it was meant to be a good thing. It was like instructions a Father would give their child. However man turned the Law into a device used to control and oppress people. Religion eventually turned into a big business while controlling people. Jesus told the religious leaders they are “Hypocrites”, they twist the Word of God and use it for their benefit. When you perform rituals or traditions of men, ask yourself is this Biblical? Did God really command this or is this a tradition man has imposed on us? Am I saying all traditions are bad? No , but its important that we Trust in the Word of God and not man. Don’t just blindly follow traditions because someone tells you to, study the Bible and find out for yourself if this is truly what God wants. This entry was posted in Jesus on July 28, 2017 by Unashamed of Jesus. God said “The time is coming to gather all the nations”, what does this mean? Its means his covenant is not just for the Jewish people anymore, but to anyone who calls upon the name of The Lord. The blood that Christ shed on the cross, finished the new covenant with God for us! God knows our works and thoughts, don’t worry about condemning people or figuring out if they are just or not. God already knows, he knows our hearts and thoughts. Fix your eyes on Christ, and let God judge. Let people know about the glory God revealed to us through Jesus Christ! What glory did God reveal? Before Christ we were all condemned, slaves to the wages of our sins. But since God so loved the world, he sent Jesus to free us from our sins. Now we are no longer separated from God, we are now his children. God has gathered everyone from the world, who will accept Christ into their hearts , to free us! 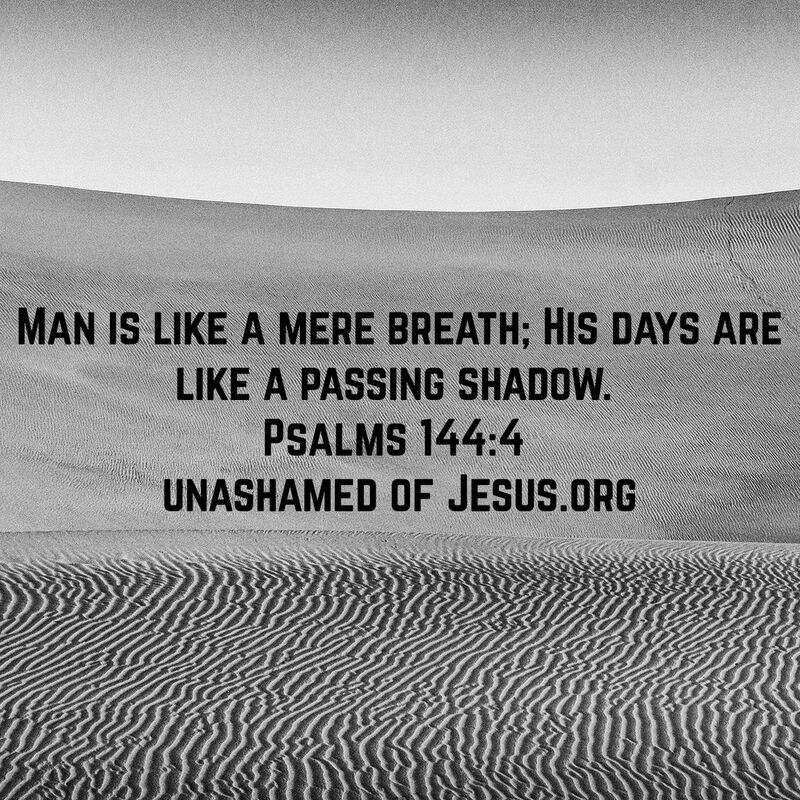 This entry was posted in Jesus on July 27, 2017 by Unashamed of Jesus. 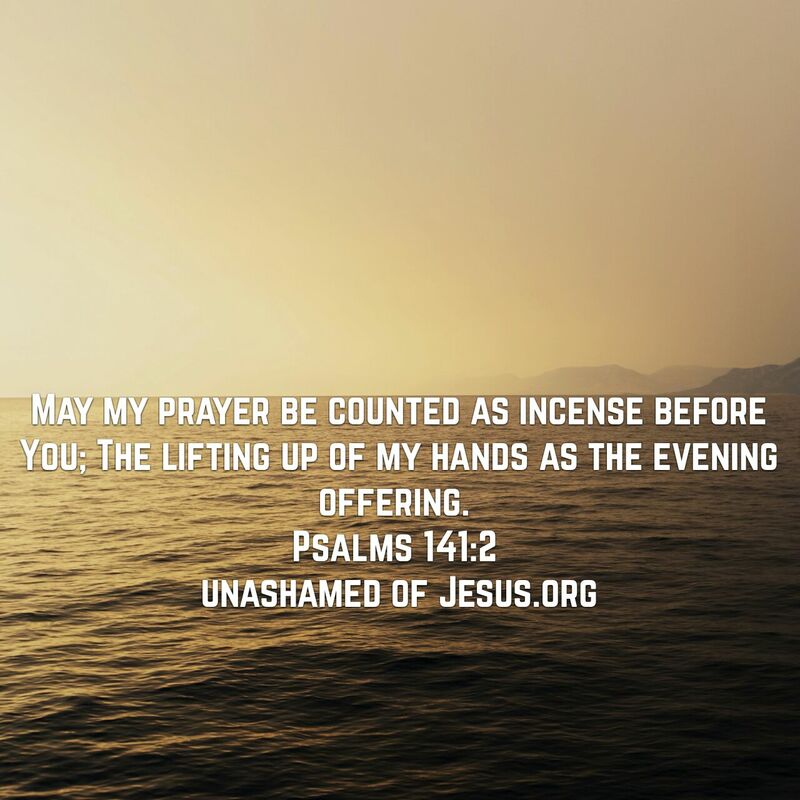 May my prayer be counted as incense before You; The lifting up of my hands as the evening offering. 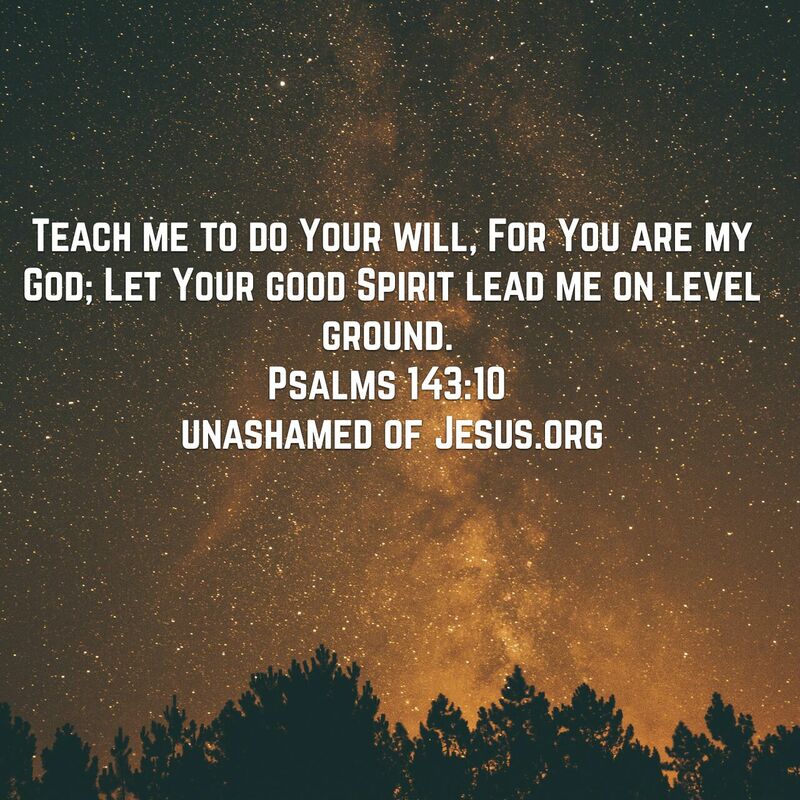 This entry was posted in Jesus on July 26, 2017 by Unashamed of Jesus. Its easy for us to get caught up in the events of the storm. Our minds quickly think about the worst case scenario, our faith quickly fades away. But Jesus is telling us to “Take Courage”, “Don’t be afraid”. We need to understand that Jesus has overcome the world. There is nothing, no storm that is greater than our God. Just like the disciples in the boat, we need to fix our eyes on Jesus and not on the storm. 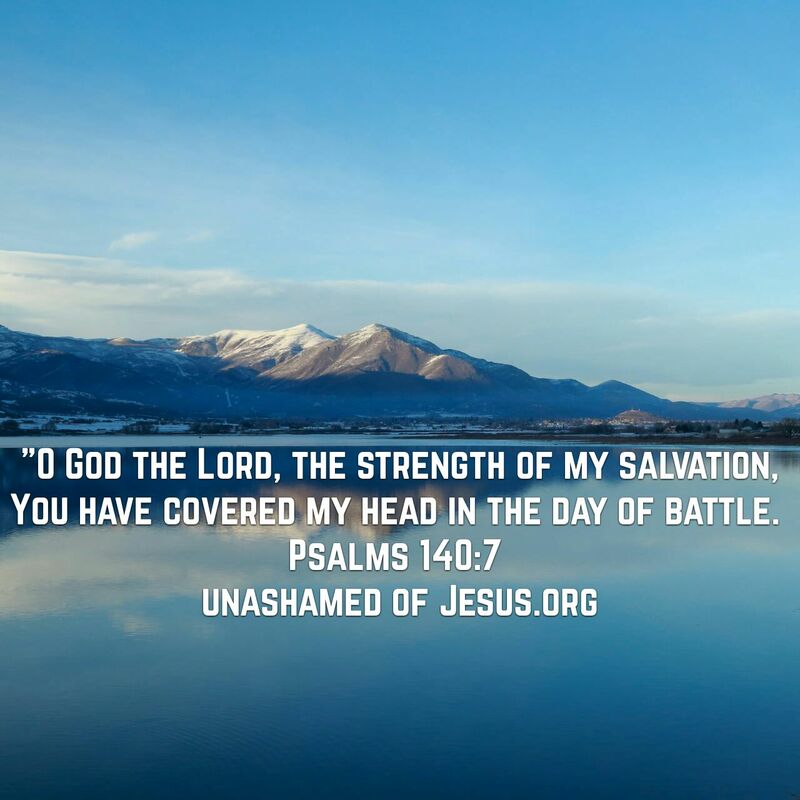 “O G od the Lord, the strength of my salvation, You have covered my head in the day of battle.